The cedar rapid wooden hot tub is our 6 jet hot tub with bubble bench. Standing a full 4ft in height, Riviera Hot Tubs are deeper than acrylic spas. This extra depth increases buoyancy creating a wonderfully, relaxing, luxurious hot tub. 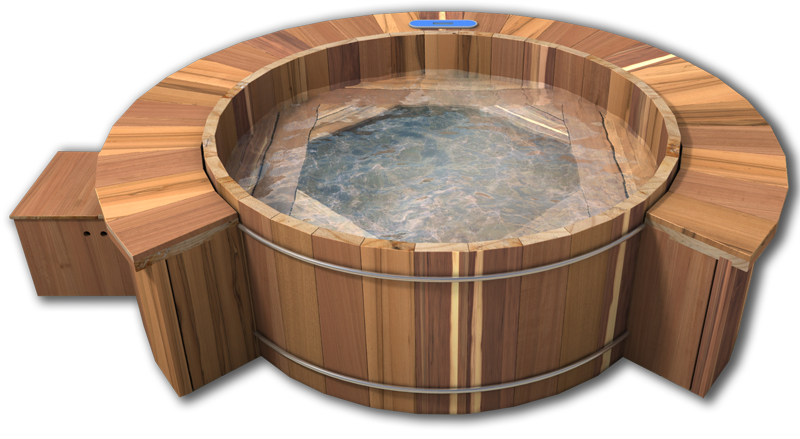 All Riviera Hot Tubs are made from the finest kiln dried cedar wood. 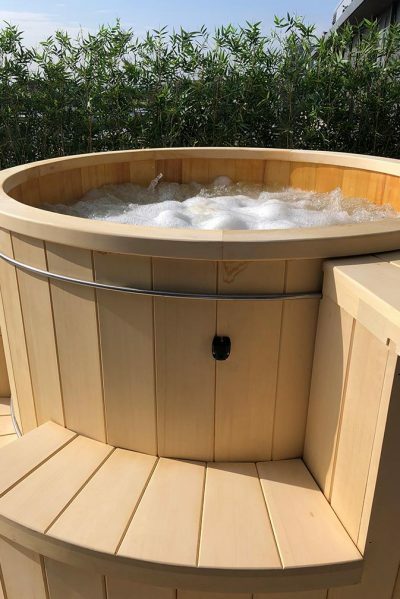 Cedar is renowned for its longevity and our premium grade cedar wood hot tubs boast the thickest staves on the market. 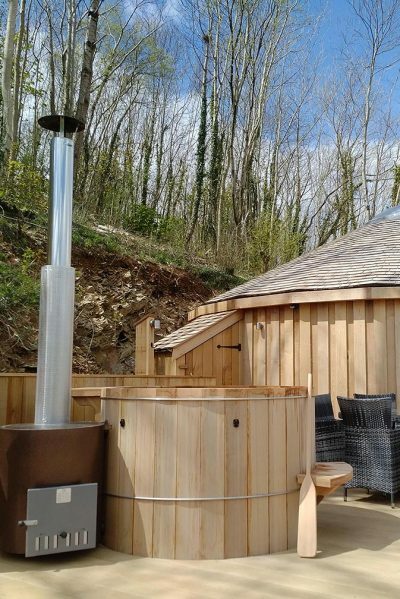 There are no liners or acrylic shells in our hot tubs just wonderfully tactile and aromatic cedar. 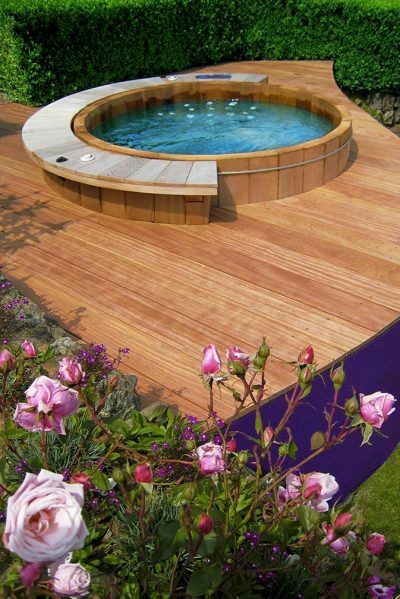 All our wooden hot tubs are 49″ or 1245mm to the rim. A practical demonstration on water maintenance and control pad operation will be given on installation as well as instruction booklet. The cedar rapid wooden hot tub is our 6 jet hot tub with bubble bench. The jets are situated around half of the wooden hot tub and placed at varying heights so a full back massage can be achieved simply by moving around the bench seat. The bubble bench massages the body and makes the whole tub erupt with bubbles. All our hot tubs come with a rigid thermal cover as standard with all our electric hot tub models. Want a bit extra added onto your cedar springs wooden hot tub? Get in touch and we can discuss your needs. 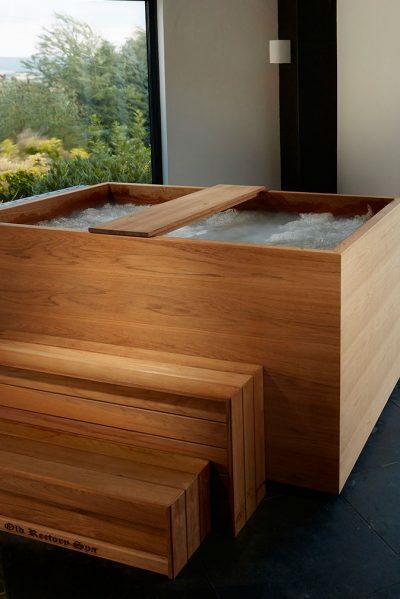 To obtain detailed plan drawings for recessing your wooden hot tub please give us a call on +44(0)1626 367038 or email us and we will be happy to answer any of your queries and requirements. 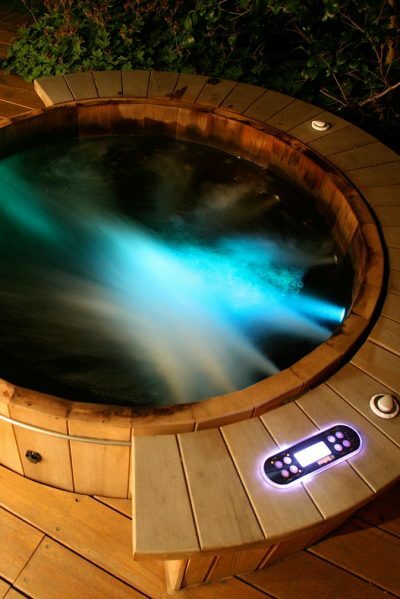 Browse our wooden barrel hot tubs, swim spas, saunas or contact us if you need further assistance.